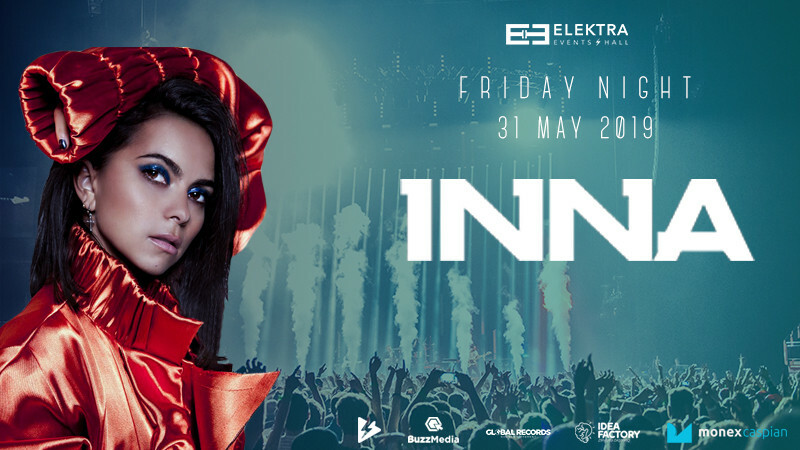 INNA in Elektra Events Hall buy tickets online. Delivery of tickets for the event INNA. Romanian singer İnna is coming to Baku! İnna started her business in 2008 with Play&Win. In 2009, the “Hot” album made her famous. The same album was relaesed into the top 10 music chart of the Czech Republic, France and United Kingdom. Album was released platinium status in France and Portugal. The same song took first place in the American Hot Dance Airplay chart and Portuguese chart. Inna also received gold and platinium status in Spain, Norway and Italy. Famous singer will give a concert at Electra Event Hall on May 31!